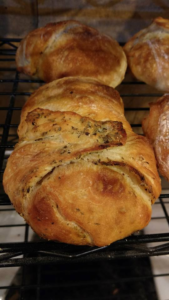 All breads baked are made with King Arthur, Unbleached, Unbromated Bread Flour and have the nutritious benefit of a fermented starter mixed 12 to 16 hours before the dough is mixed. 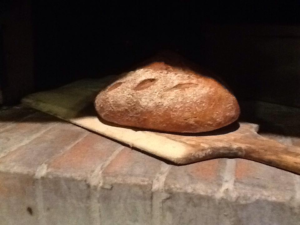 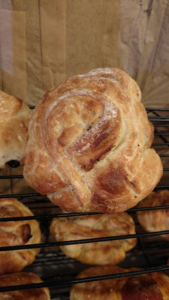 They are then hand shaped, scored, and baked in our restored 1842 Bakehouse’s brick oven Wednesday evenings, ready to sell fresh Thursday through Saturday. 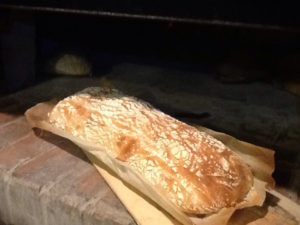 We also sell frozen breads out of our Bakehouse Freezer on days when fresh breads are not available. 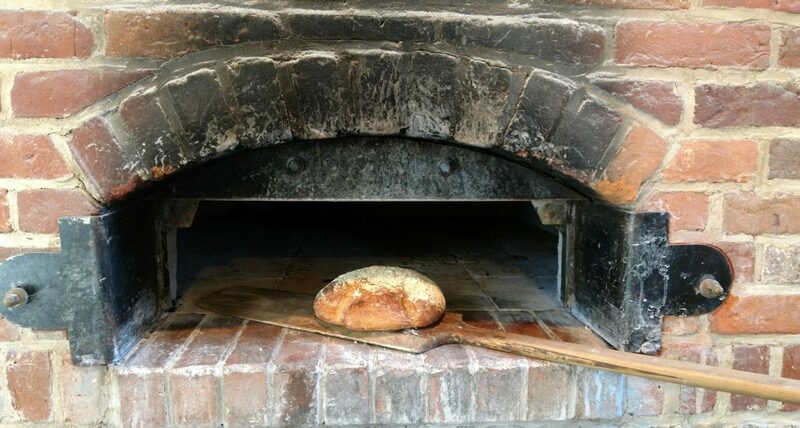 The oven is fired 8 hours before the bake and tended to the desired temperature. 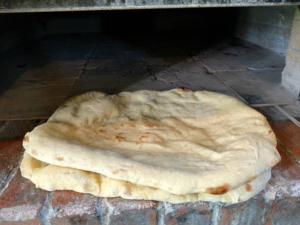 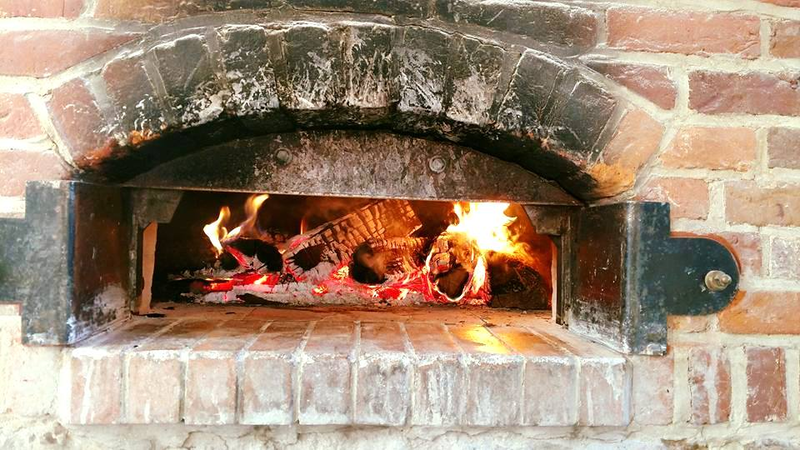 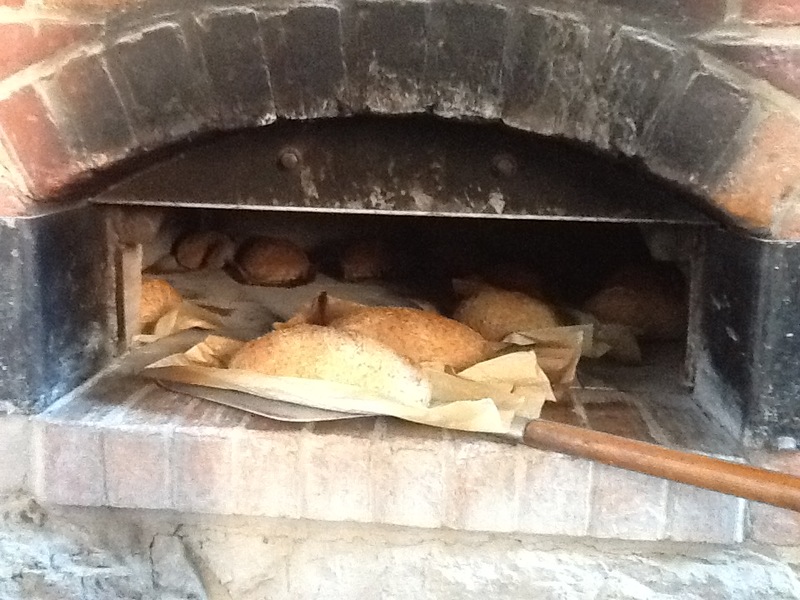 Then it is cleared of the ashes, and ready to create fresh baked artisan breads and its delightful flavor and aroma! 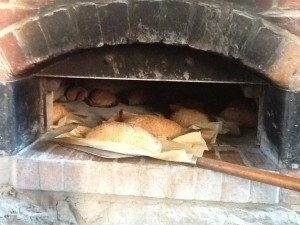 For more information or to be added to our weekly list of breads available, email McBurneyManor@Gmail.com. 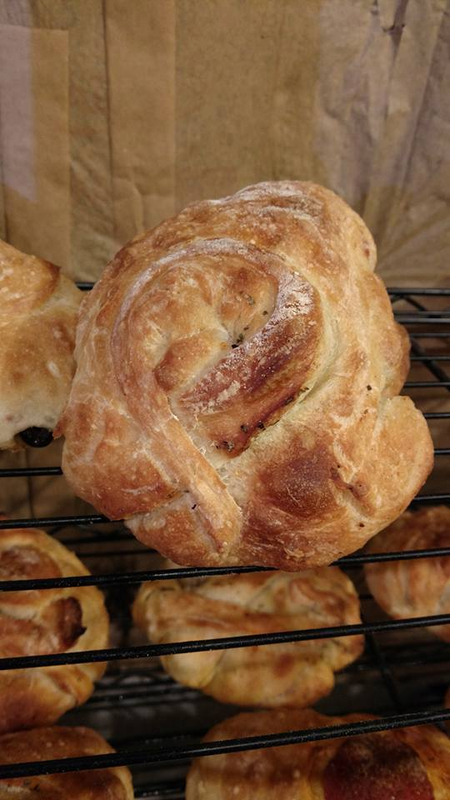 Black Olive Rolls Made with Ciabatta Dough with added Black Olives, olive oil and Garlic salt and pepper seasoning. Other rolls include: Pepperoni ,Sundried Tomato and Banana pepper.